Beauty is usually in the eye of the beholder, but it's long been suggested that symmetry has a lot to do with what we deem beautiful. On an evolutionary level, we're drawn towards people with more symmetrical attributes because it sends the message that they're more capable of handling environmental stressors and evading diseases. But this love for symmetry extends beyond our appreciation of people. 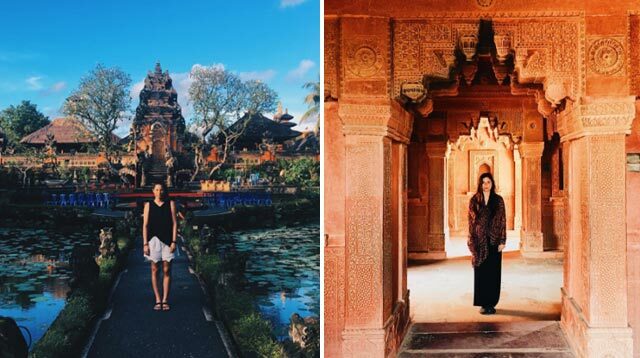 Instagrammer Alexia Stam, for example, travels the world and takes symmetrical snaps of popular tourist destinations. If this is something that interests you, she's created the hashtag #stampoint. Check it out!